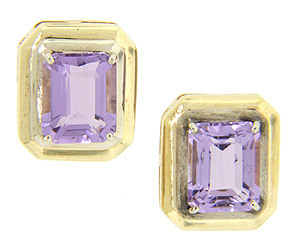 These lovely 14K yellow gold estate earrings show off emerald cut amethysts. These simple earrings are set on posts. Circa: 1980.